Your credit score is a gatekeeper for some of your most important life events, such as purchasing a house or financing a car. In order to get access to credit as well as affordable interest rates, it is vital to maintain a good credit score. If you have any negative information reported in your credit file, it can stay there for up to 10 years. Once you know your credit score, you may want to take immediate action to improve it. You may come across companies that specialize in providing credit repair services and promise to be able to raise your credit score. Before you agree to work with one of these companies, you should take a close look at their business practices. Companies that offer credit repair services do the same types of things to attempt to improve your credit that you could do on your own. For some people, it is comforting to have the assistance of a credit repair company because they simply feel too overwhelemed to handle it themselves. These companies charge a fee for there service, and it could end up costing you thousands of dollars to work on your behalf. Pursuant to the Credit Repair Organizations Act, credit repair companies are not allowed to misrepresent the services that they offer to consumers. This means that a credit repair service cannot promise you a better credit score no matter what or that you will no longer have any debt. In addition, these companies are required to offer you a written contract that clearly explains what types of services they will engage in for you. Be sure to read this agreement very carefully because you need to know exactly what you are paying for. 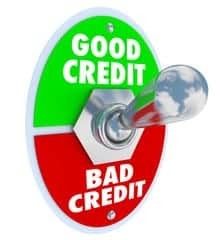 Another important thing to remember in working with a credit repair service is that you should never be required to pay them until they have actually provided a service to you. It is illegal for them to require otherwise. As an alternative to working with a credit repair company, you could try speaking with a nonprofit organization that offers guidance to consumers on repairing their credit. For instance, the National Foundation for Credit Counseling offers counseling to consumers to help them get set up with a debt management plan. There are some basic things that you can do to start improving your credit score right away. The first place to start is by requesting a free copy of your credit report. Check the report immediately for any mistakes, including improper accounts being listed on your report or someone else’s identity showing up on your reporot. These mistakes should be fixed as soon as possible by notifying the credit reporting agencies of the mistake via letter. The next thing to focus on is reducing your debt amount and improving your credit utilization. If you have any debts that are already overdue, these are the ones you should pay first. You want to avoid having them sent to a collections agency at all costs. After that, you may want to consider requesting an increase in your credit limit from your bank. If you are able to reduce your credit card debt at the same time, then you may achieve an even more dramatic increase in your credit score. You should not be alarmed if you do not see an improvement right away. It can take up to 30 days for any change to reflect on your credit report.